Jay’s from Ireland, but he’s been around. Lived in Boston for a while—not a bad spot for an Irishman to land, I suppose. But somehow he ended up falling in love with an Ileach, and now he lives on the island with his wife and children. 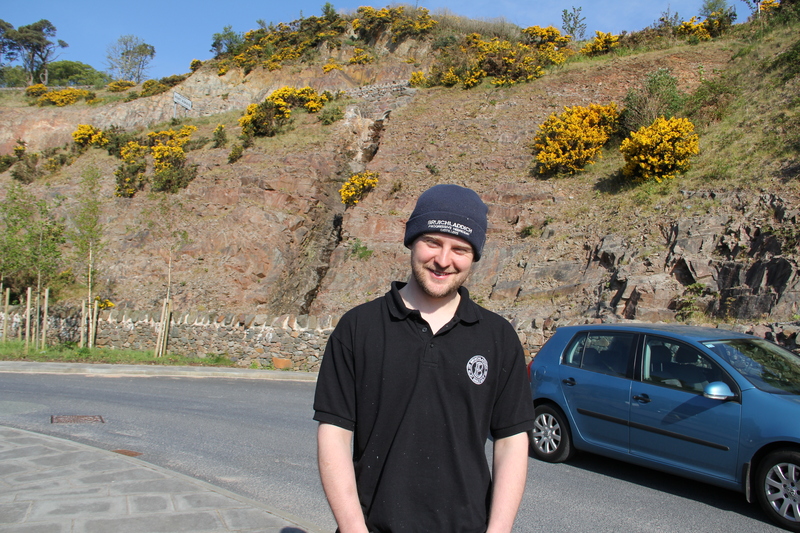 He’s worked on Islay for 7 years or so, but not at any of the distilleries—and now he’ll be the newest member of the Laddich crew. His first week was my first week, too. 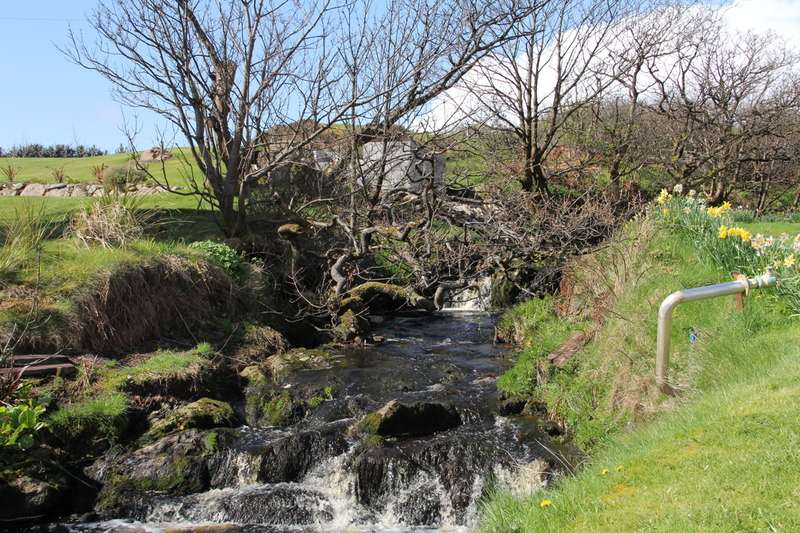 An Islay native with deep roots at Laphroaig. Peegee is the mash veteran. Always had a subtle smirk, like he was in on a joke and was deliberating whether or not to let you in on it. And then if you were quiet, he’d mutter some nugget of wisdom. Adam was born on Islay, but his parents are English and so is his accent. Something that’s hard for Americans to understand, I guess, is that these kinds of roots run deep over here. Adam’s clever. Which was all right, since he got stuck teaching the lot of us about the day to day duties of a mashman. The mash is the process by which you take malt—that’s barley that’s germinated and dried—and use it to make a barley-flavored liquid, called wort. You can take any malt into mash, but in order to get the best results the barley must have been harvested well, dried properly, precisely malted—see my upcoming blog on maltings—dried once more, and stored well away from moisture. 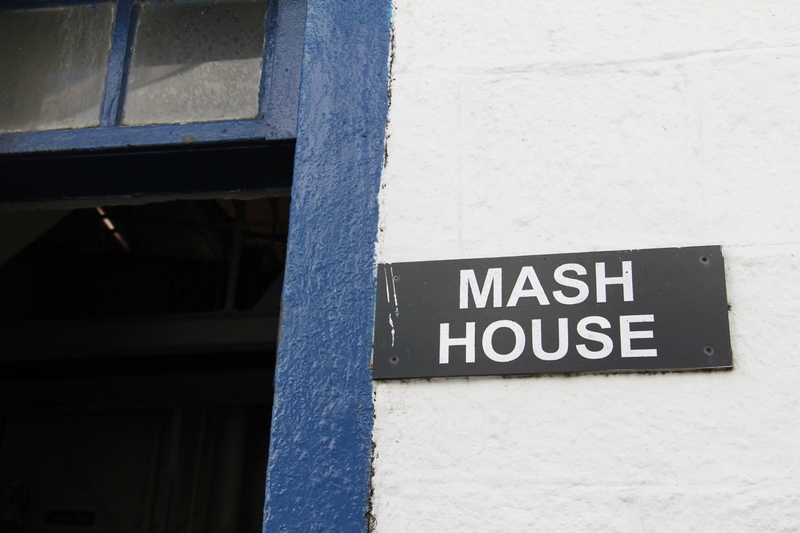 Bruichladdich is one of the only distilleries to source barley locally, and all their malting takes place in Inverness at Baird’s Maltings: the only malting facility in the world that is capable of malting to Bruichladdich’s expectations. 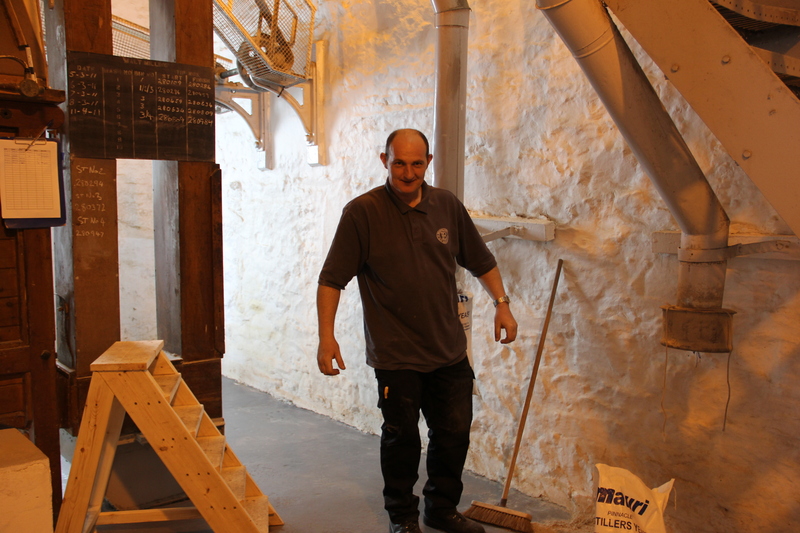 When Bruichladdich runs a mash, 7 tons of malt leave the storage bins and head into the Boby mill. 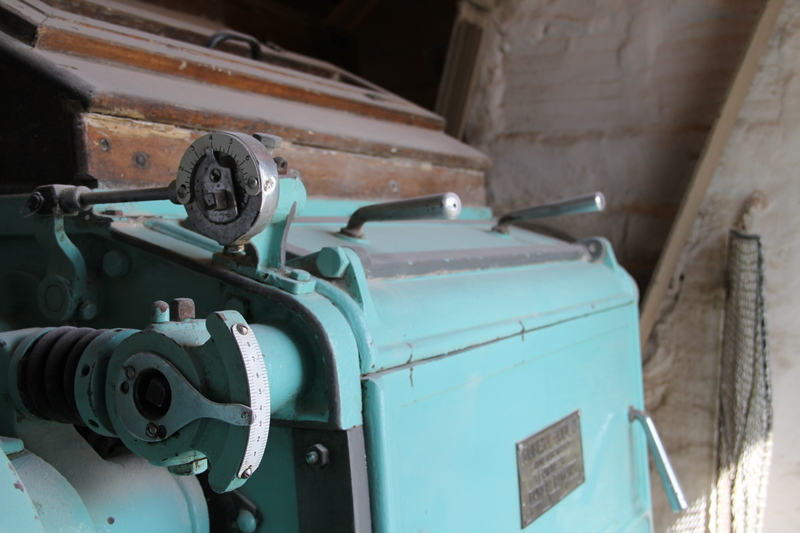 The mill itself is a veteran; built in 1881, it’s belt-driven with four rollers that break the malt down into three stages: husks, middles, and flours. These rollers are finely adjusted to Laddich’s ration: 15% husks, 71% middles, and 14% flour. If you have too much flour the mash will gum up on you; too much husk, and it drains too quickly. 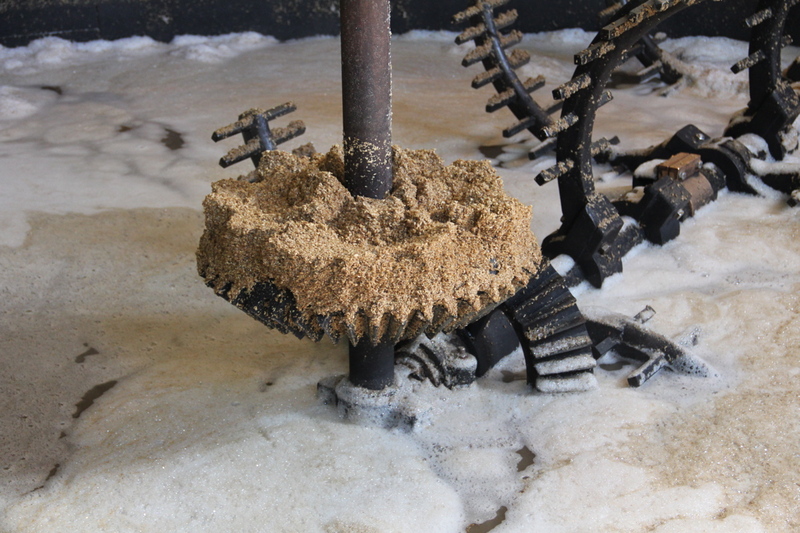 After the malt is milled, it’s mixed with water in the mash. I have to pause here and offer a little homage to Bruichladdich’s water: Sourced from the Islay moors, this delectable liquid travels through the peaty hillsides on its way to the distillery, picking up subtle phenols that come through ever so subtly, even in the unpeated whisky. This is what I learned to worship in whisky from Scotland: although humans make whisky, it also inevitably emerges from the place of its birth, an expression of the stone and peat and wind and rain that color that landscape. You could have the exact recipe for Bruichladdich whisky—the precise levels of peating, the right ration of husks to middles to flour, the right barrels for the right amount of time—it doesn’t matter, Sisyphus, because you don’t have the water. So after the malt is milled, it’s carried on a conveyor to the mash tun (like most of the things that really do the work around the distillery, this massive cast-iron vat was also built in 1881.) Inside the mash tun, the malt is precisely mixed with water (grist.) This is called the “first water,” and it’s at 149 degrees (it’s also recycled water— but I’ll come back to that). Once the mash tun is filled with grist you turn it, gently, and this takes some time, but as you work you can watch the steam rise and take in the sweet smells of peat and barley, maybe even a tea break. The water that is drained off the mash is the wort, and tasting the wort is one of the best experiences you can have at a distillery. It’s sugary and sweet, but warm and round and earthy and wholesome. It’s syrupy. I think it would be good on waffles. The grist is mixed with water three more times. The second water is also recycled water, and it makes up the other 35% of your wort. The third and fourth waters don’t go into the wort—they’ve extracted a little flavor, but not enough, so they are used for the first and second waters in the next mash. So the sweet and flavorful wort from the first two waters now goes through a heat exchanger to drastically drop the temperature and then gets charged over to the wash backs, where fermentation will take place. 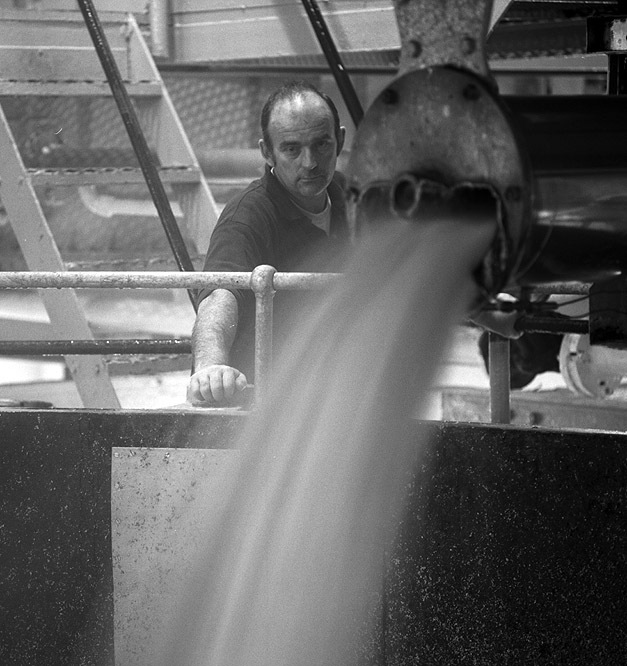 The third and fourth waters are recycled for the next mash. And the grist, now called draff, is pumped out of the tun and into a trailer, which is taken to surrounding farms and used to feed livestock. 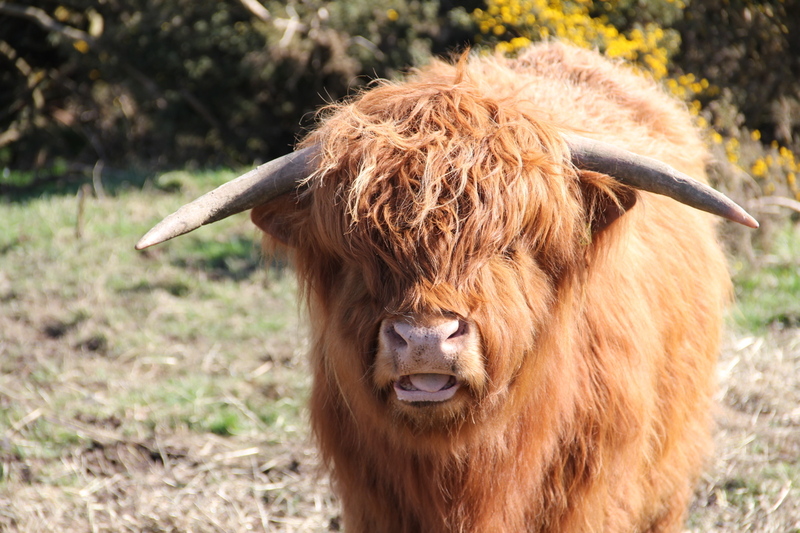 Any tour you take on Islay, they always make light of the happy cows and why they taste so good. And that’s mash! Thanks, Adam. Thanks, Peegee. Steak and waffles, anyone?